Sometimes, we may get the requirement to set Gradient Color for Layout or page. In this article, we can learn how we can set a Gradient Color for Layout or Page using CustomRenderer. Sometimes, we may get the requirement to set Gradient Color for Layout or page. 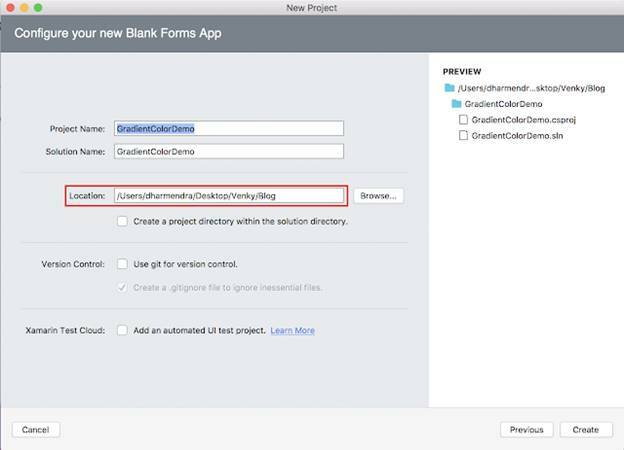 In this article, we can learn how we can set a Gradient Color for Layout or Page using CustomRenderer in Xamarin.Forms. This sample app is targeted for Android, iOS. And tested for Android & iOS. The Mac system with Visual Studio for Mac doesn't support Windows projects (UWP, Windows, Windows Phone). 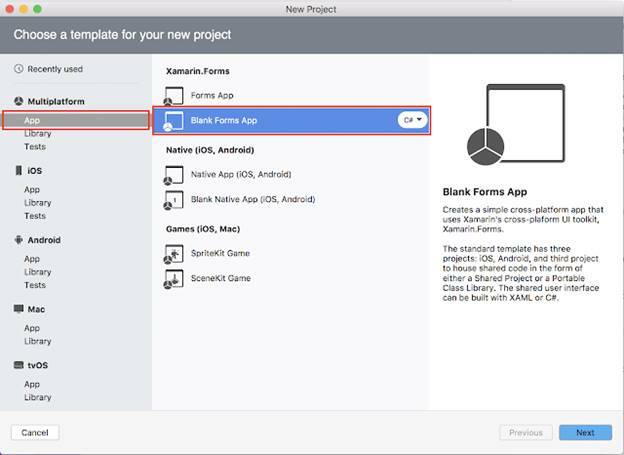 The following steps will show you how to create Xamarin.Forms projects in a Mac system with Visual Studio. 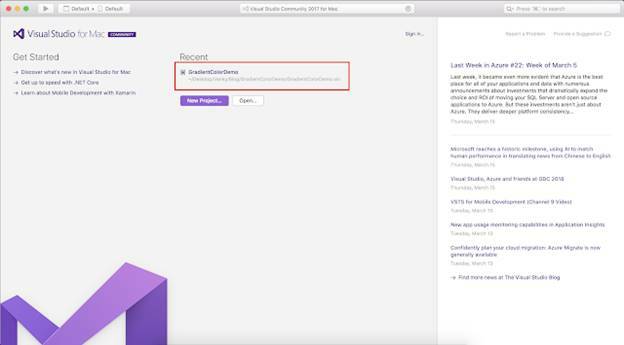 First, open Visual Studio for Mac. And click on New Project. 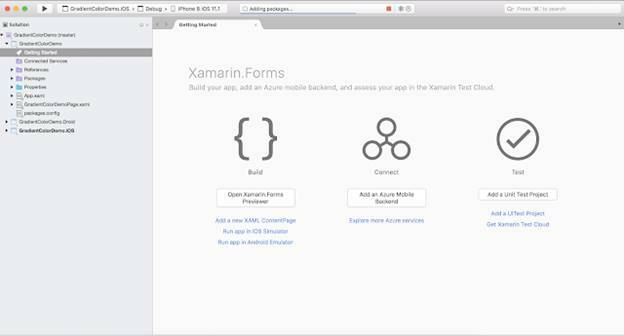 After that, we need to select whether you're doing Xamarin.Forms or Xamarin.Android or Xamarin.iOS project. 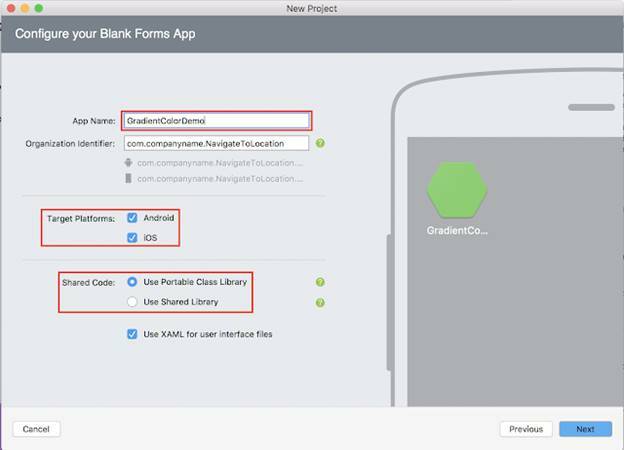 If we want to create Xamarin.Forms project just follow the below screenshot. 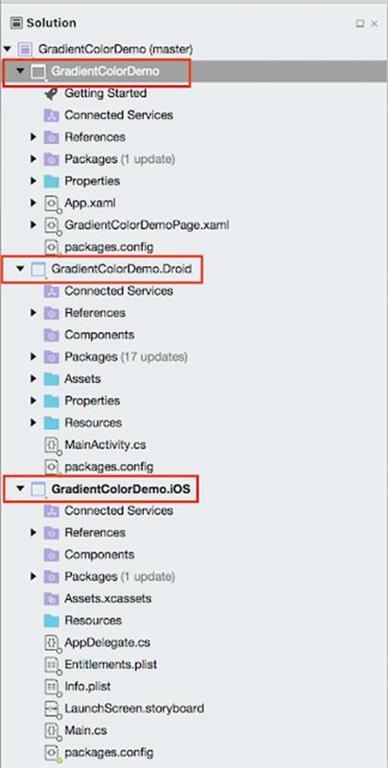 Then, we have to give the app name; i.e., GradientColorDemo. In the above screen under Shared Code, select Portable class Library or Use Shared Library. Then, click on Next Button and the following screenshot will be displayed. In that screen, we have to browse the file path where we want to save that application on our PC. After clicking on the create button it will create the RoundedCornerViewDemo Xamarin.Forms project like below. Droid: It is for Android. 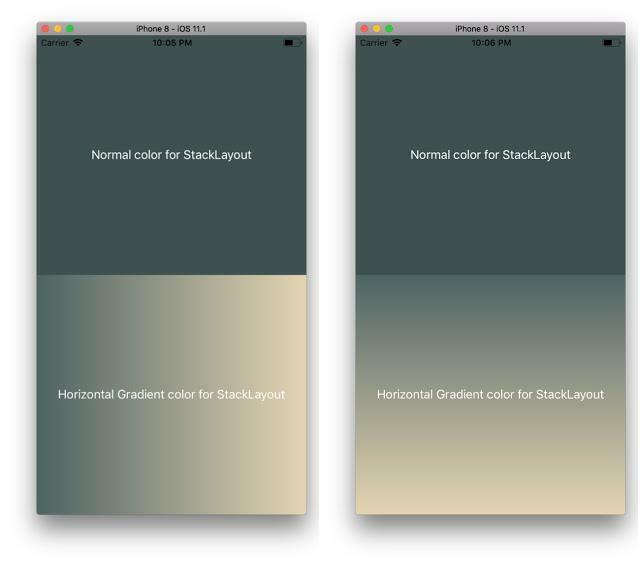 We need to follow the below steps to set Gradient Color for StackLayout. In PCL, create a class name GradientColorStack inside the CustomControls folder and which should inherit from StackLayout like below. The "local" namespace prefix can be named anything. However, the clr-namespace and assembly values must match the details of the custom renderer class. Once the namespace is declared the prefix is used to reference the custom control. 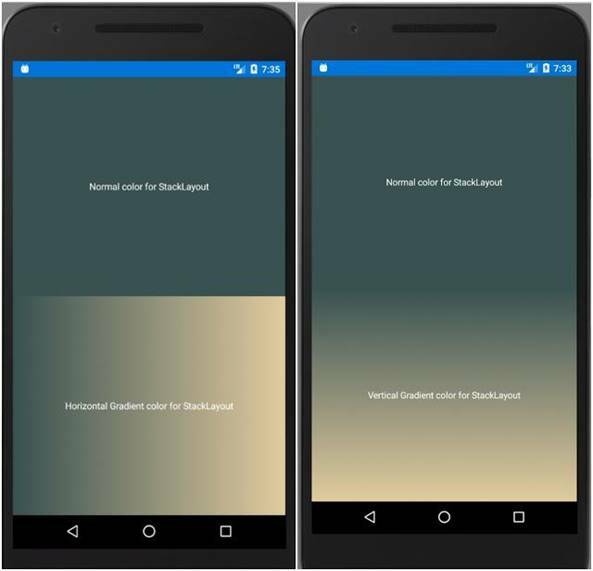 Here OnElementChanged method instantiates an Android UI Layout and in that, I mentioned vertical and horizontal gradients within #region. Here OnElementChanged method instantiates an iOS UI and in that, I mentioned vertical and horizontal gradients within #region. Please download sample from here.